We don’t know about you, but spring has sprung and we’re looking for light, refreshing recipes to help brighten up our springtime picnics, parties, and weekend meals. Our go-to recipe? A cooling, crunchy, creamy salad of thinly sliced cucumbers and radishes, with an herby yogurt dressing for a little tang. Whether you’re serving up this easy-to-make salad as a side dish or starter, a glass of The Roost Chardonnay is the perfect accompaniment. 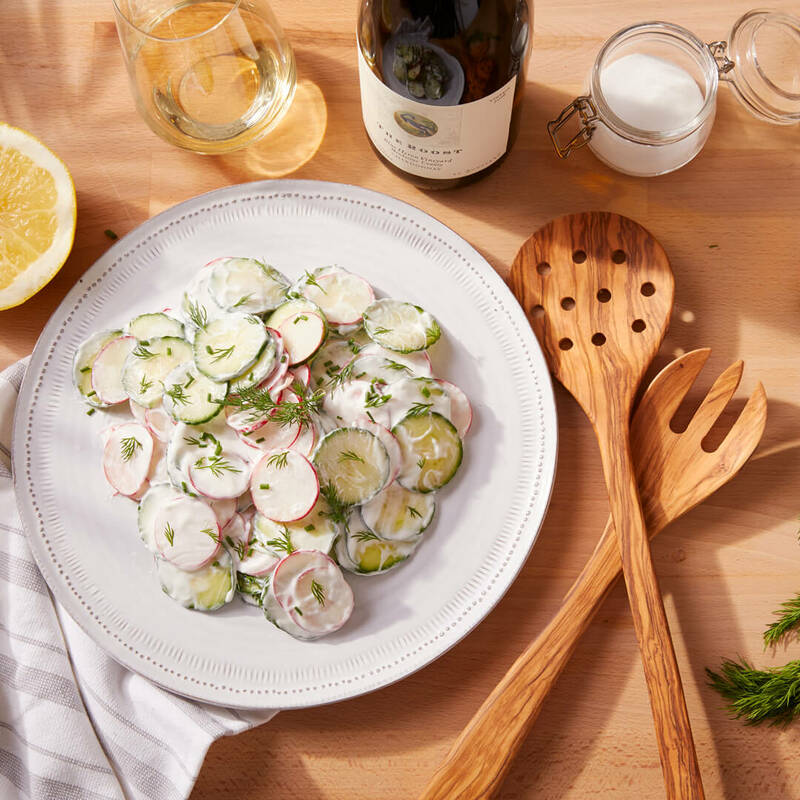 Complementing the salad’s creamy yogurt dressing and raw vegetables, Bonterra’s Biodynamic®, single-vineyard Chardonnay offers elegant acidity to match. Scrub the cucumbers and radishes and thinly slice using a mandoline or sharp knife. Sprinkle with salt in a mixing bowl and add ice cold water to cover. Let sit for 30 minutes then drain well. Mix together the yogurt, vinegar, sugar, fresh herbs, and toss with the cucumbers and radishes. Season to taste with salt and pepper, serve immediately. Cucumbers and radishes can be sliced ahead of time and kept soaking in cold, salted water in the fridge for up to one day. Dress just before serving.